The year-end list: the hallmark of every great publication, blog, Facebook status update and scrappy zinester organization. 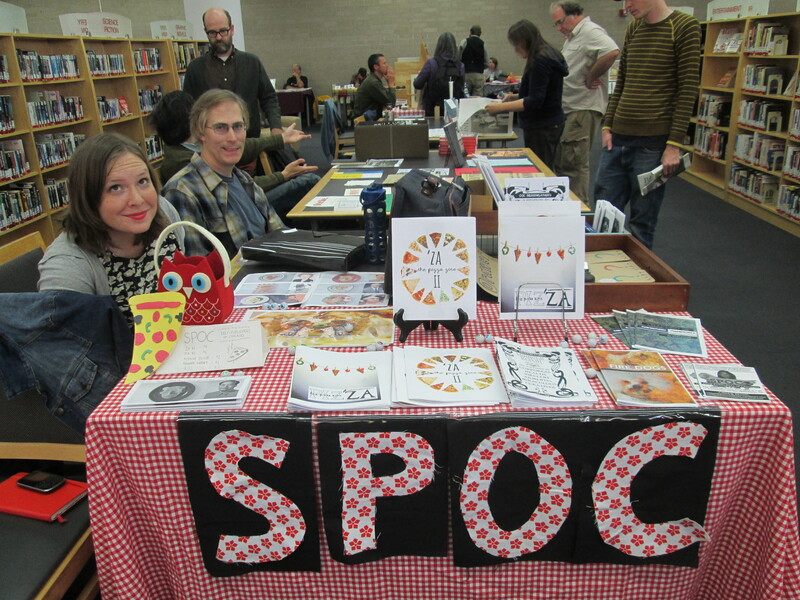 Let us take you on a zany ziney odyssey through the SPOC happenings of 2013 – the year for collages, snake oil curatives, charting courses at Uncharted and criss-crossing the nation in search of the next big zine fest. JANUARY: We started the thirteenth year of the new millennium off right following SPOC’s April birth in 2012. All were raring to go with a slew of collaborative zine ideas in anticipation for Chicago Zine Fest, where we were to be an invited organization! We settled on the long-held cut and paste tradition of collage. FEBRUARY: With our theme decided, we set out to organize a collage workshop to get SPOCsters hands involved in the paste-coated process. But where might we make such a mess? 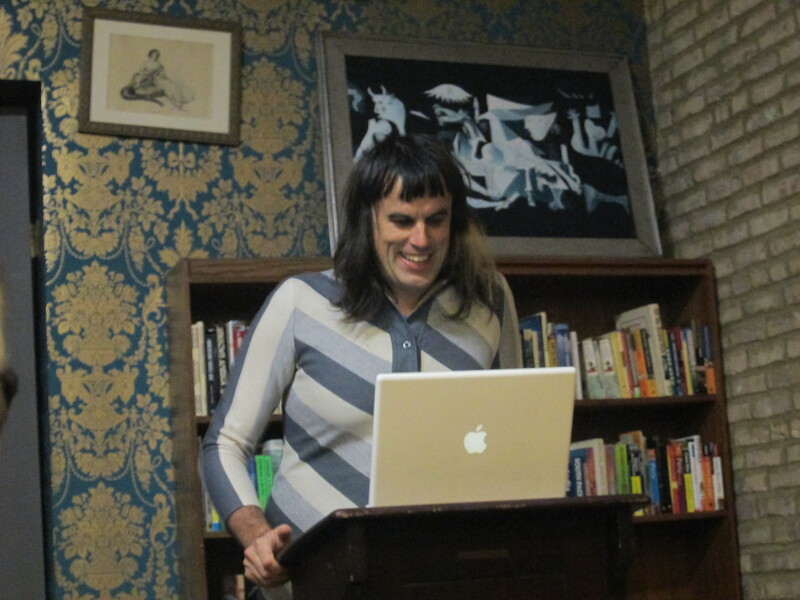 Our friends at Peanut Gallery, a DIY-centric space in Humboldt Park, welcomed us in out of the cold on February 7. Collage novices and pros alike fashioned gorgeous creations and graciously contributed their work to our zine. Collage buddies cut crafty creations at Peanut Gallery. MARCH: As usual, this was a busy month for SPOCsters. With individual projects and our Collage zine in production, we had plenty to keep busy. And, just as the sun rises, the sleepy zinester will fold, staple, and crease with a bone folder. Just as in ancient times, we too rose on March 9 with our newly assembled creations to sell at Chicago Zine Fest. 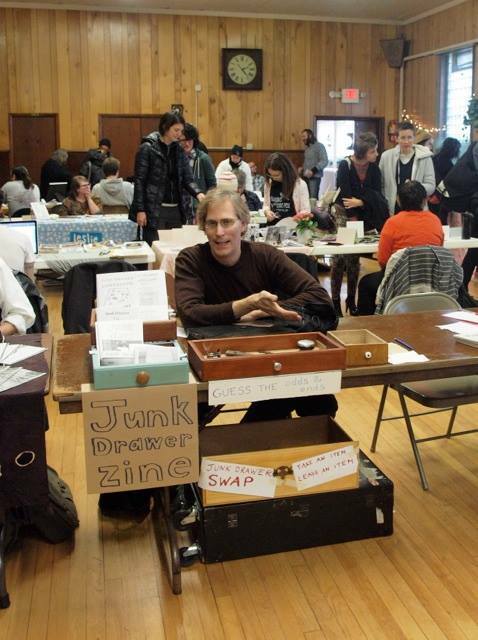 And what a zine fest it was. 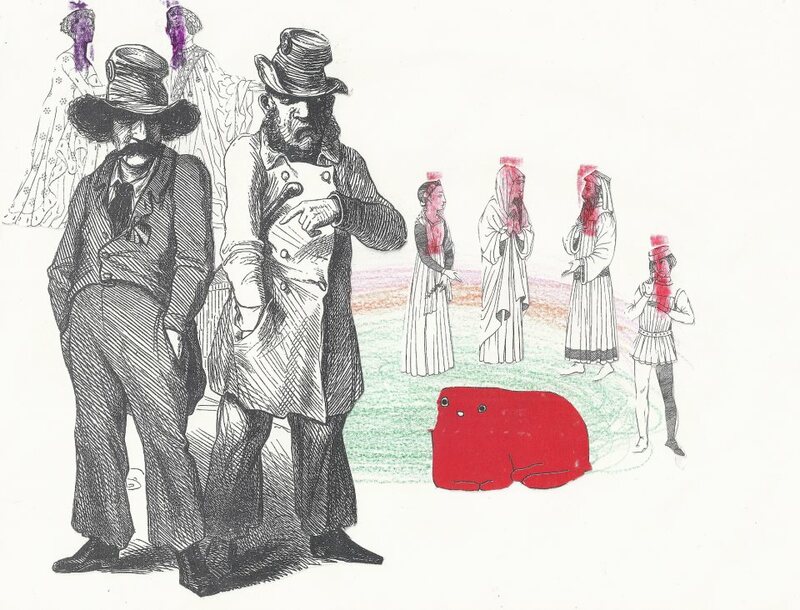 Columbia College’s Conaway Center was a constant flurry of activity and, indeed, our publications sold well, especially the full-color gorgeous collage zine with an arresting cover courtesy of Daniel Majid. With the major self-publishing event of the year at a close, it was a time for reflection and diligent snackery. The rest of March was marked with pretzels and perusing of recently purchased CZF treats. APRIL: Spring thaw brought cause for celebration. 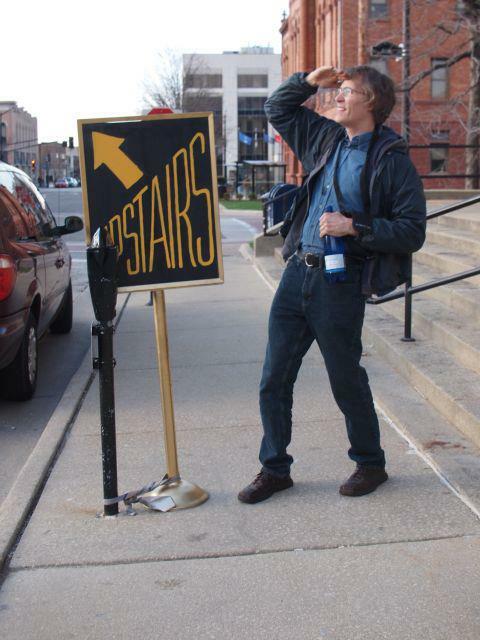 Mid-west Zine-Fest in Champaign-Urbana, Illinois on April 13 was our first of many out of city zine events during the year. Attending SPOCsters Meghan McGrath, esq., Transit Chief Eric Bartholomew and Organizer-Extraordinaire Nicki Yowell were on hand to let the great people of central Illinois hear the gospel of self-publishing from the big city. Praise zines! 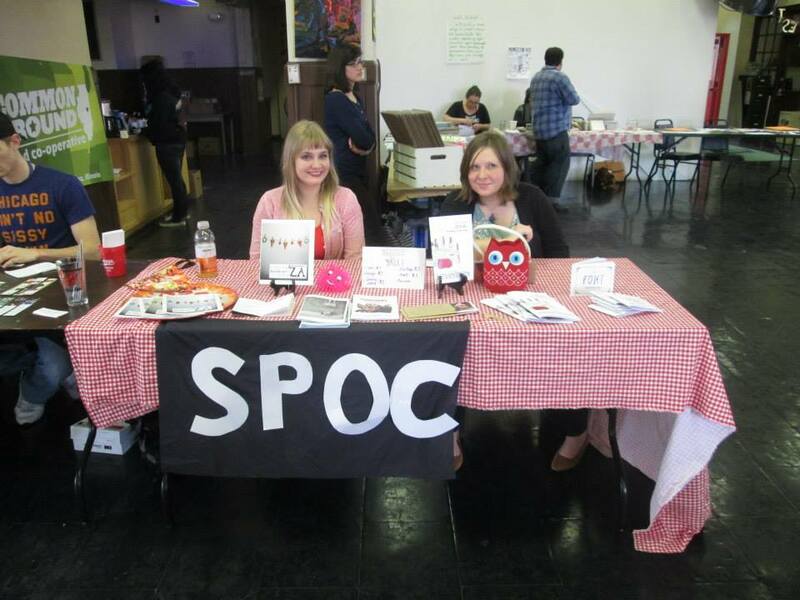 Meghan McGrath and Nicki Yowell holding down the tabling fort in Champaign-Urbana. 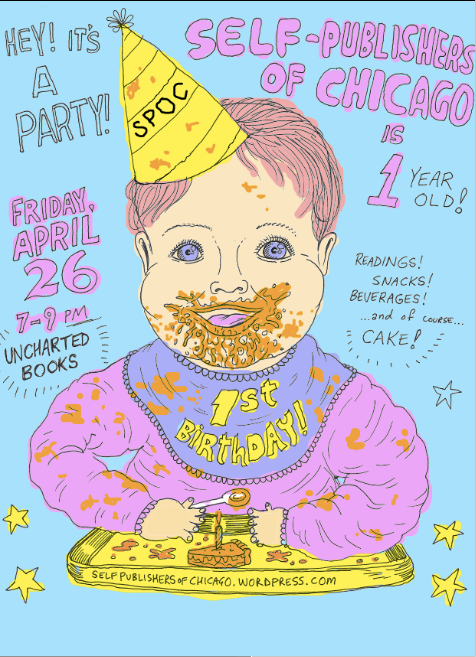 Later that month, SPOC celebrated its first birthday in great style with a first class soiree at Uncharted Books on April 26. Pink strawberry cake, unconventional dog-inspired readings and a spirited speech from SPOCster-in-chief Nicki Yowell helped usher SPOC into its next year of fruitful life. MAY: In Chicago, we bear the long wait for the warm months and corresponding jam-packed social calendars. We revved up for a season filled to the brim with zine fests, conventions and readings by grilling meats and non-meats alike at our first barbecue. Stellar SPOCster Meghan McGrath also began planning her long-awaited snake oil show with SPOC as her project partner. We set out to create an A-Z zine guide to Victorian ailments, cure-alls and dubious medicines in anticipation for the June show. 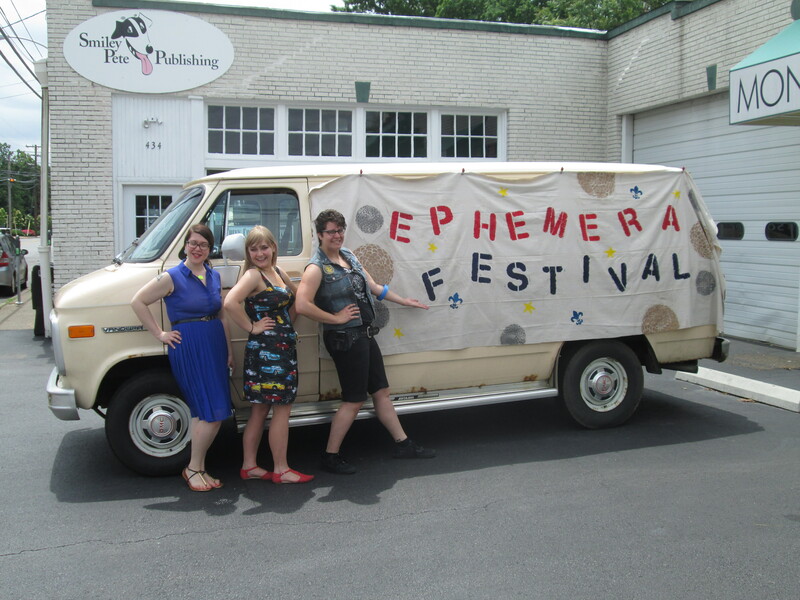 JUNE: We began a busy season of frenzied fests with Lexington Ephemera Fest in Kentucky on June 1. 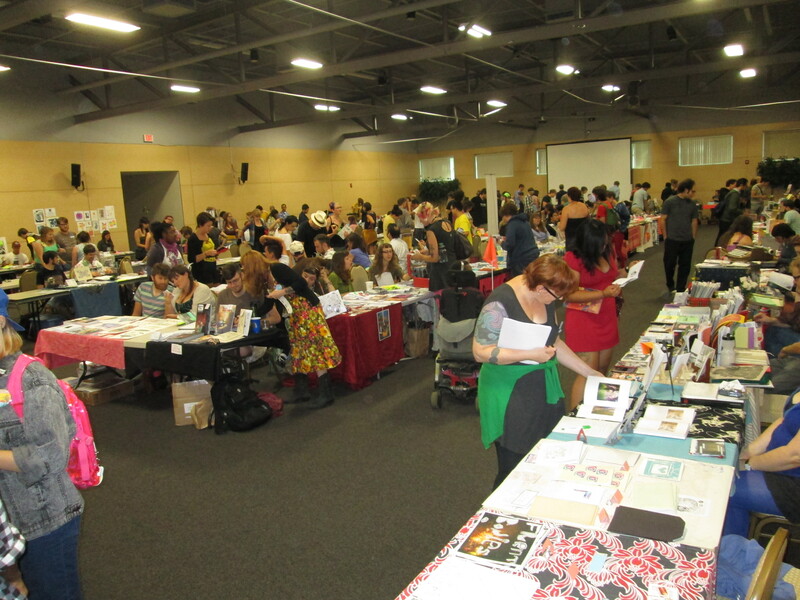 The event was organized by long time zinester, once-upon-a-time Chicago resident and Indigo zine maven, Michelle Aiello. Lexington Ephemera Fest brought SPOC below the Mason-Dixon line for the first time ever and introduced us to the wonders of a certain spirited equine statue. 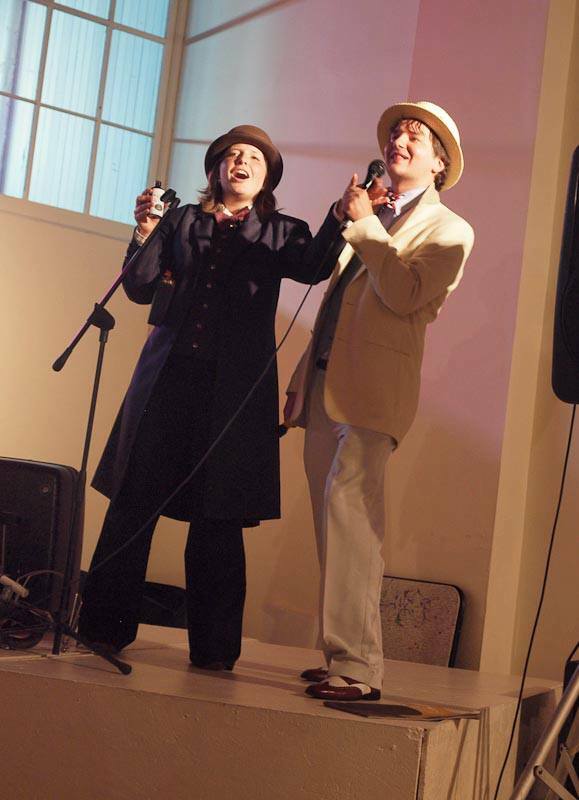 It was a quick turn around to Meghan McGrath’s “Doc Merriweather’s Miracle Elixir and Medicine Show” on June 14 at Co-Prosperity Sphere in Bridgeport. 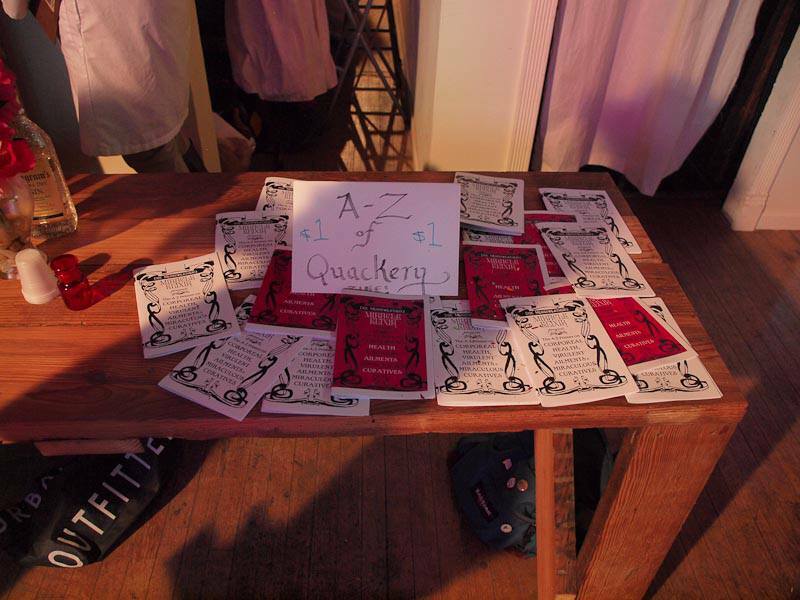 We had the A-Z snake oil zines ready to go and the show rambled on with music, merriment, period dress and incomparable quackery. Our A-Z snake oil zines for sale at the show! 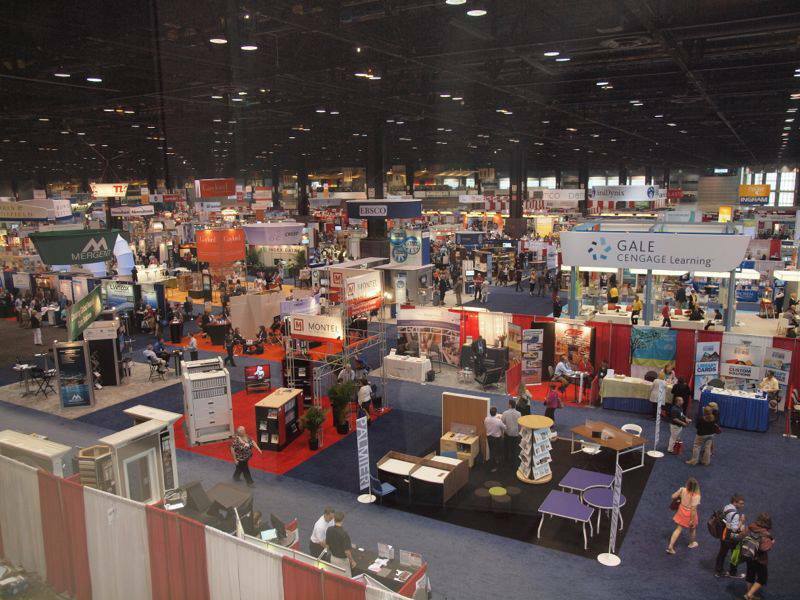 June marched on with more events including The American Library Assocation’s convention at McCormick Place on June 29 and 30. 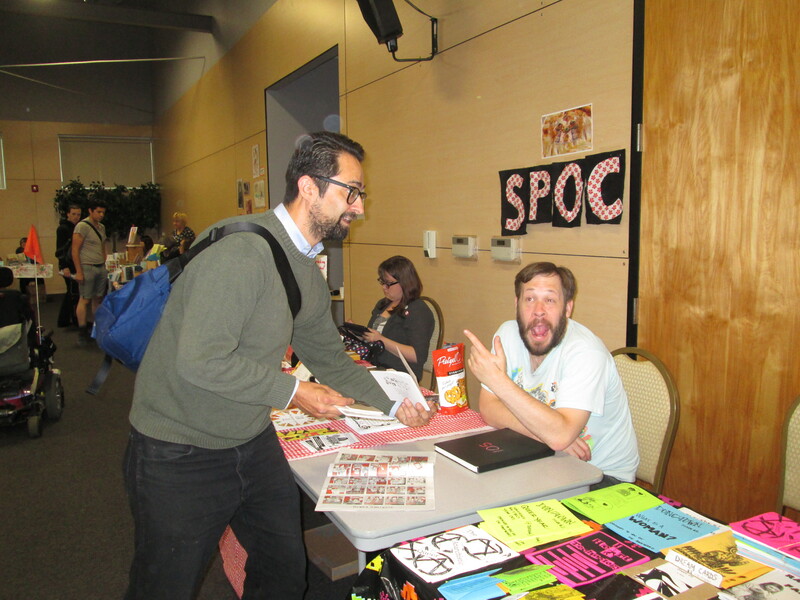 It was all about bright lights, expensive sandwiches and awesome swag as SPOC went legit as an invited member of the convention’s Zine Pavilion. An unforgettable experience to be sure, and the first time we’ve ever seen our organization’s name on an official, laminated display. 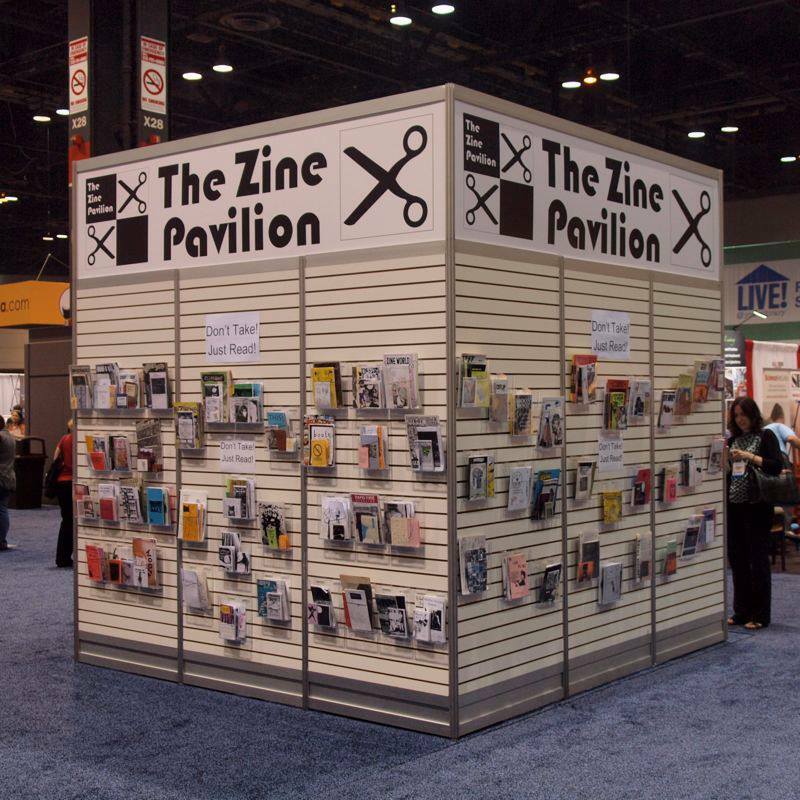 The Zine Pavilion library offered (un)conventional browsing. 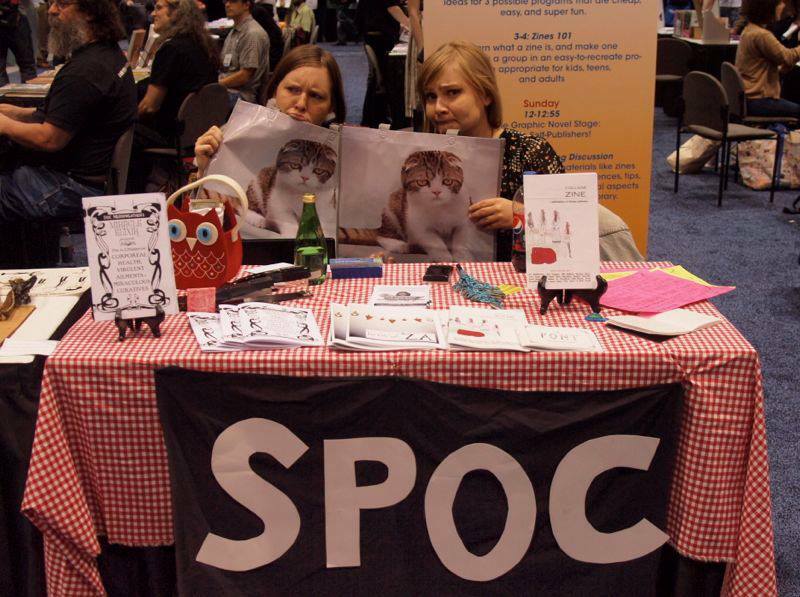 JULY: It was another frenetic summer month for SPOC. 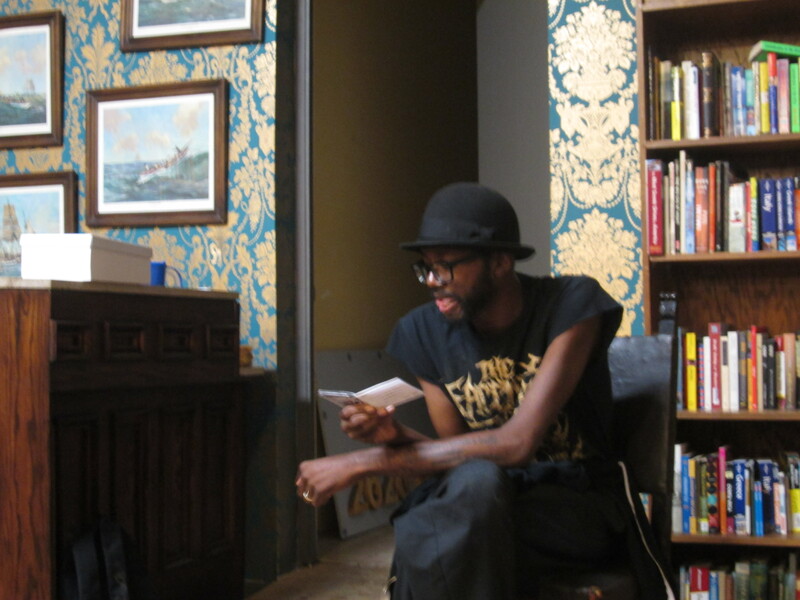 We were organizing our first-ever benefit event, Words and Sound II, a collision of sonic and literary performance. SPOCster Nicki Yowell also ventured to our nation’s capital for DC Zine Fest on July 20 and lobbied hard for the zinester agenda. We rolled the dice at our board game night at the newly minted CHIPRC on July 26. Trivia questions were scrutinized, Jenga pieces fell with a clack and vintage board game rules were debated. It was a great event, pairing one awesome publishing community group with another. AUGUST: Our first ever benefit Words and Sound II on August 2 was a huge success, in no small part thanks to SPOC BFF Jail Flanagan and the slew of talented writers and musicians/sound artists who performed that night. We once again were indebted to our phenomenal buddies at Peanut Gallery for hosting the event. Aside from bolstering our coffers for printing costs and incidentals, it was by far our best-attended gathering of all time. Chicago comics, meet Portland comics. Grant Reynolds and Tedward Bak have a chat. With fresh funds in hand and heartened by our vibrant community, we descended upon the Pacific Northwest for Portland Zine Symposium on August 10-11. It was indubitably the farthest distance we took SPOC this or any year! 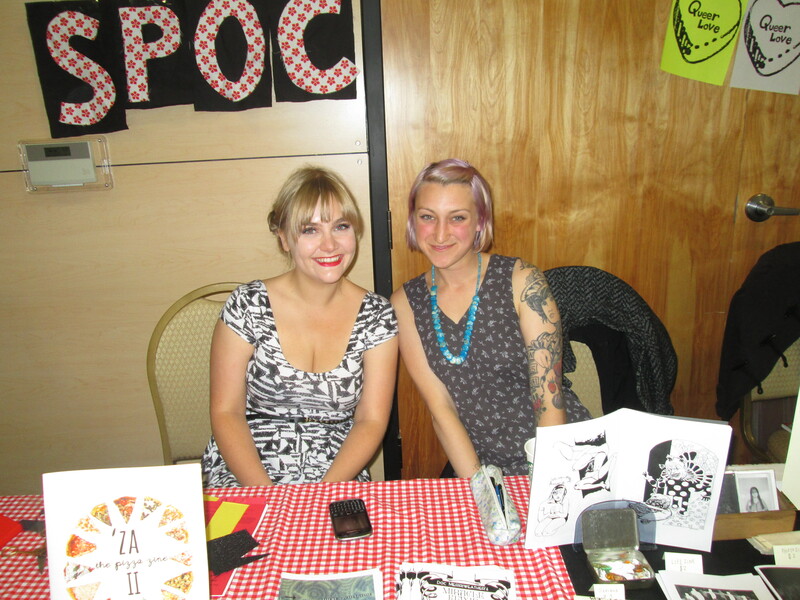 We sold zines to the Oregonian masses and SPOCster Nicki Yowell hosted a zinester community building workshop to boot. Hooray for PDX! Making connections with San Francisco collage artist Ari Bird in PDX. We weren’t about to let the summer end without a bang so we made sure to hit up yet another brand new zine event, Grand Rapids Zine Fest in Michigan on August 24. That’s right, friends. Your very own SPOC now loads easily onto a MegaBus. SEPTEMBER: Following our whirlwind zine fest tour, the beginning of fall was a time to rest and reboot for what was ahead. And it was our chance to switch gears. We began planning our newest endeavor, a monthly reading series at Uncharted Books set to blast off the following month. 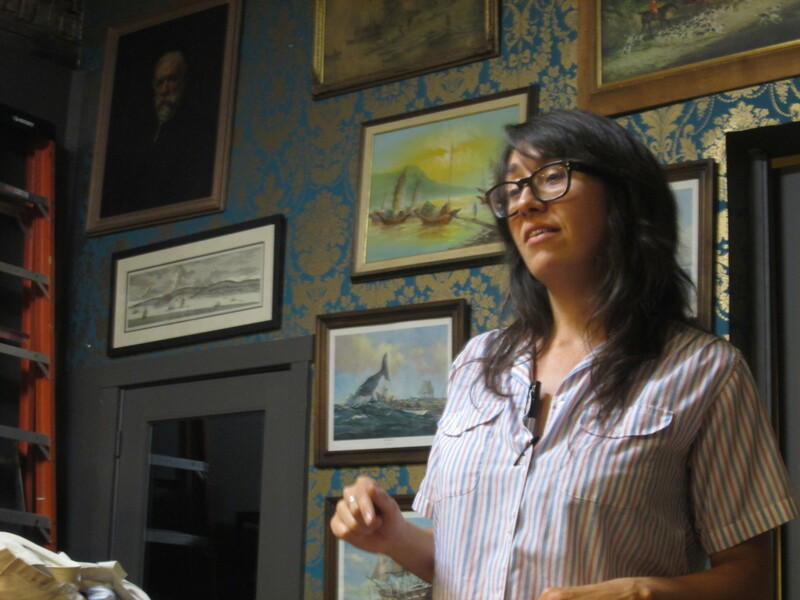 OCTOBER: The Clancy’s Reading series, named after our favorite generic bulk store pretzel brand, kicked off on October 6 at Logan Square’s Uncharted Books with much fanfare. Our readers regaled us with pieces themed around legacy and memory. 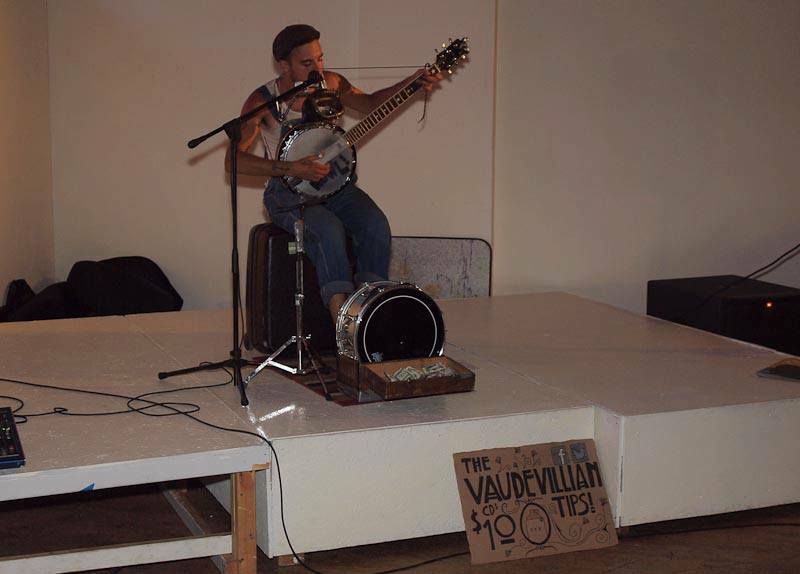 Elizabeth Tieri performs at our October event. Jonas Cannon waxing literary on memory and legacy at Uncharted. It wasn’t long before that sense of wanderlust nipped at our heels once more. 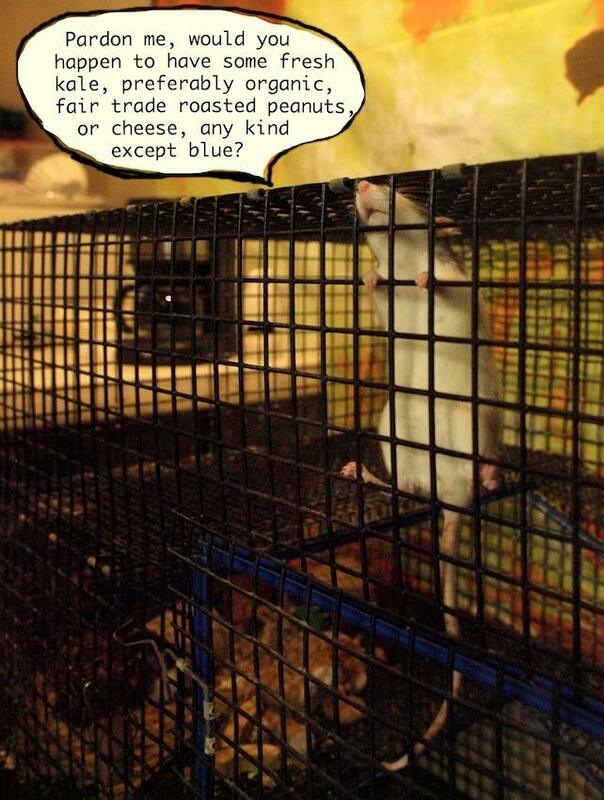 We were awarded acceptance into Madison’s lively publication festival, Madison Print and Resist, and we set off for America’s Dairyland on October 19. 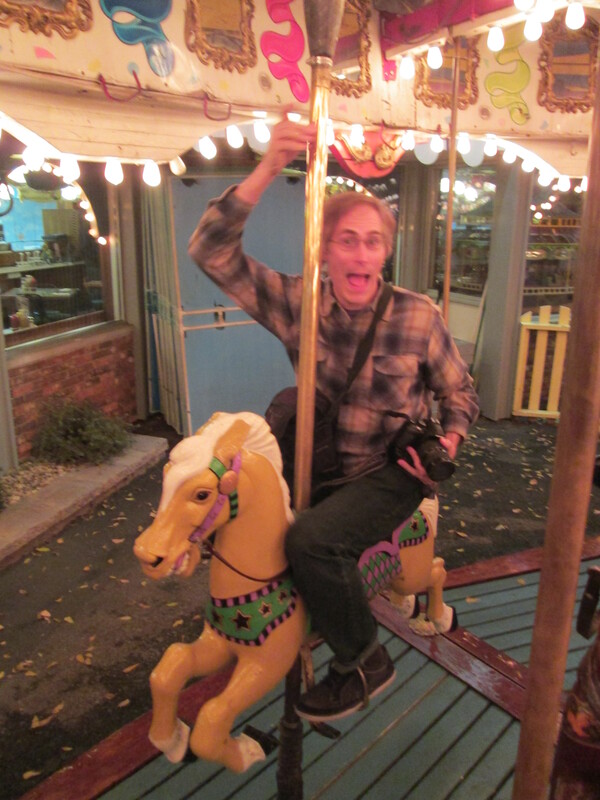 A memorable trip was had by the core trio, complete with pizza, coffee and the incomparable wonder of carousels and animatronic whirligigs. 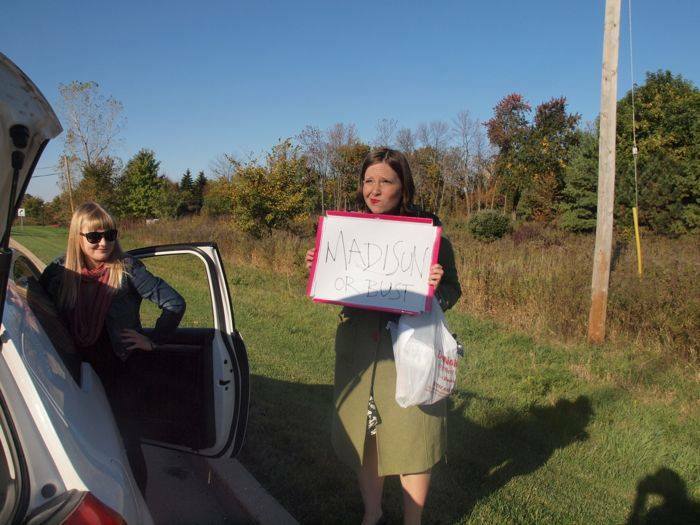 A hitch-hiking SPOCster: Madison or Bust! A splendid and sweet detour at the legendary Ella’s Deli in Madison. 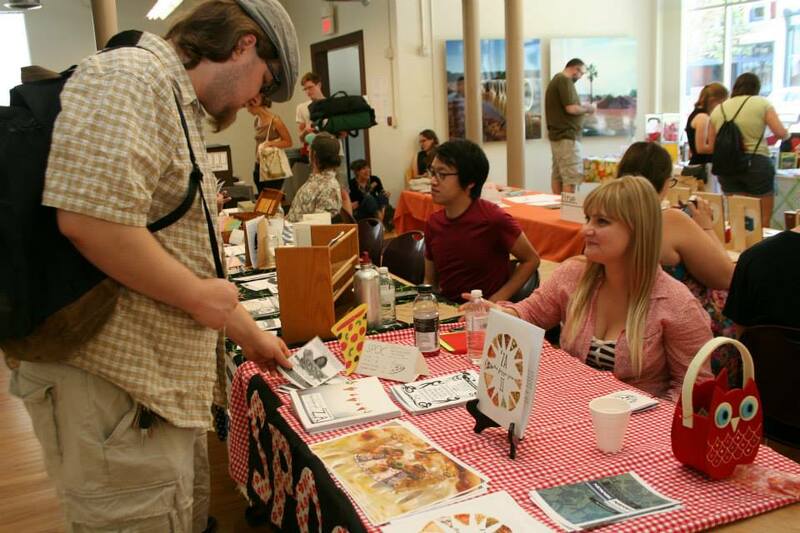 NOVEMBER: More Wisconsin travels were on our agenda with Milwaukee Zine Fest on November 9. 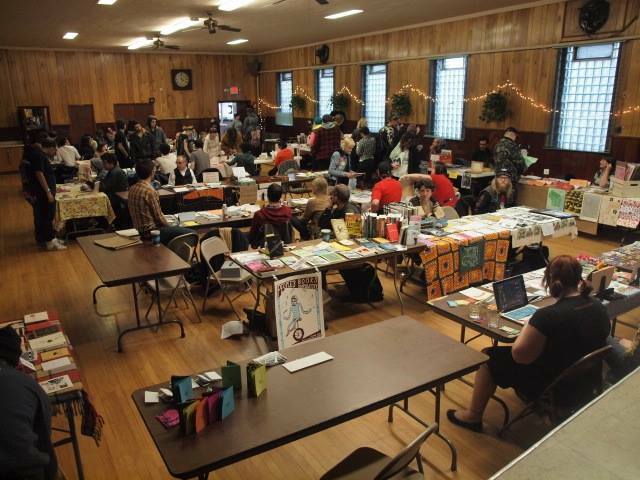 We were humbled by the warm reception we received at this most unique zine fest, held in a lodge hall complete with a fully stocked bar. Gotta love those cheeseheads! As the crisp Chicago air made way for the chill of winter, we hunkered down to plan our next Clancy’s reading. We hosted six talented writers and performers for a night focused on community and family on November 24. Jail Flanagan gets her read on at our November event at Uncharted. DECEMBER: It may have been getting colder but we here at SPOC are always fans of warm weather treats. 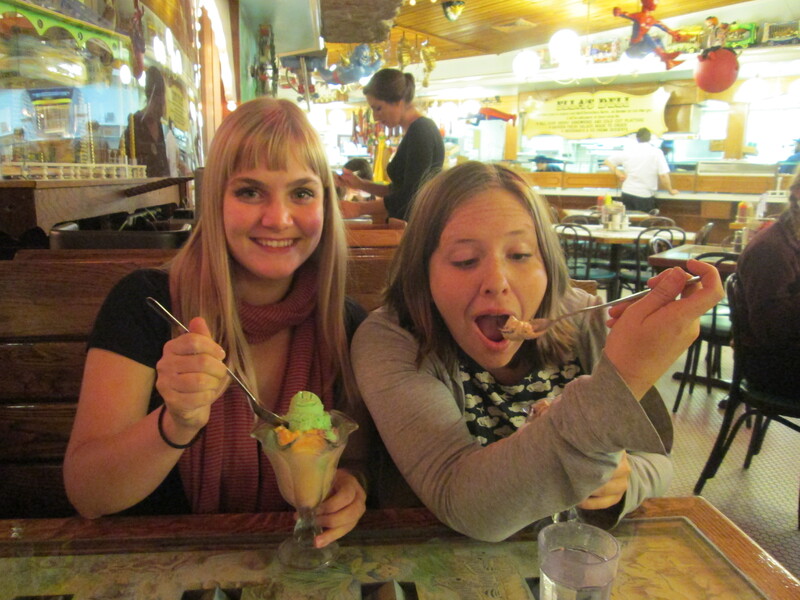 On December 1 we teamed up with our buds at Space Oddities boutique in Humboldt Park for an ice cream social. There was peppermint. There was sorbet. There was cinnamon horchata. And all was good. By mid-month, festive holiday spirits were high as we neared the Krampus Holiday Art Market. SPOC elves sent their wares to Peanut Gallery for the jolly December 14 event. To finish off a banner year, we celebrated and gorged on post-holiday pizza on December 28 at our old standy, John’s Pizzeria and Lounge in Bucktown. It was a time for revelry and a time to give thanks for a jam-packed, productive, amazing, frantic, fun-filled, community-building year. We want to thank everyone who made this year so special, from our venue hosts, to our readers, to our zine fest cohorts, to everyone out there who supports and believes in our mission. We will be here in 2014, planning readings, moseying over to zine fests and stapling and folding – all the things we do best. Stay tuned because we have a feeling that – somehow – we’ll manage to outdo ourselves again this year!